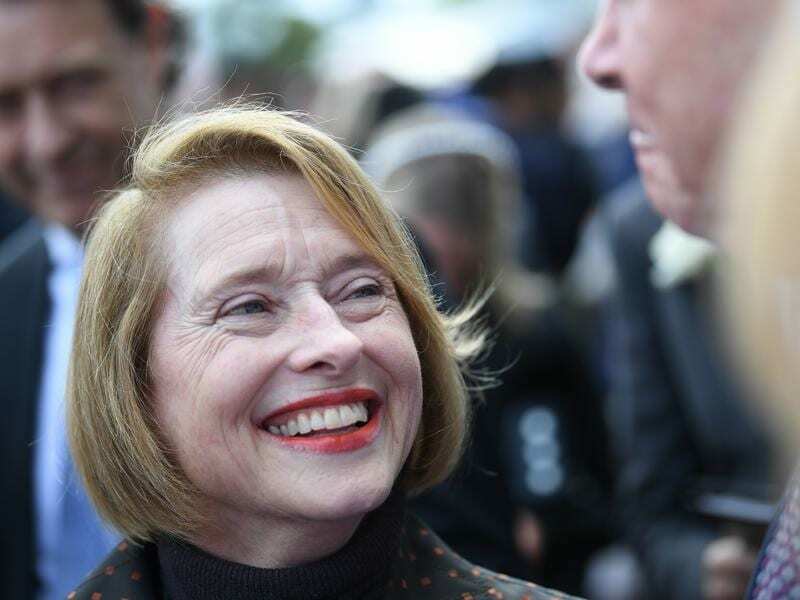 Gai Waterhouse looks at Victoria Derby favourite Thinkin’ Big and is instantly reminded of a horse dear to her heart. Nothin’ Leica Dane gave Waterhouse her solitary victory in the Victoria Derby 23 years ago three days before finishing second to Doriemus in the Melbourne Cup. Now training in partnership with Adrian Bott, Waterhouse says Thinkin’ Big could also be Melbourne Cup-bound if he is successful in Saturday’s Derby at Flemington. The link between Nothin’ Leica Dane and Thinkin’ Big extends to more than looks. Thinkin’ Big’s grand-dam, Nothin’ Leica Ripa, was by Nothin’ Leica Dane. “There’s a lot of similarities with Nothin Leica Dane,” Waterhouse said. “I can’t believe it. I didn’t realise when he first came to me that his maternal grandmother was by Nothin’ Leica Dane. Thinkin’ Big was a last-start dominant winner of the Norman Robinson Stakes at Caulfield on October 20 and Waterhouse said the colt had taken enormous improvement from the win. “He’s a very seasoned horse that we’ve taken along very steadily,” Waterhouse said. “He’s got a lovely attitude, he’s very relaxed and will stay all day. “He’ll tell us if he runs in the Cup. Waterhouse and Bott will run the Geelong Cup quinella of Runaway and Northwest Passage in the Hotham Handicap (formerly Lexus). Northwest Passage needs to win to force his way in as he sits at No. 40 in the order of entry while Runaway is currently in the 24-horse field as No. 23. Waterhouse said Northwest Passage was a lovely stayer. “His form was down around Tasmania but he showed above average form as a three-year-old,” she said. “Runaway has come out of the Geelong Cup exceptionally well and I think he needed to go there and get the miles in the legs. “Everyone used to run in the Lexus. Looking for Melbourne Cup guides? Cups Betting has all the 2018 Melbourne Cup guides and news you need right here.